If you have been driving a few years in Texas, you have likely experienced a hit and run or know someone who has. This is an unfortunate reality on Texas roadways. Hit and runs are one of the most common accidents that we see and often involve claims that take extensive investigation to resolve. This is because when someone leaves the scene, it can be pretty hard to track down the person who ran, and it can be hard to prove that the victim was indeed struck by another vehicle. It is also hard to deal with insurance companies in these situations because there are so many reasons that can be used to deny the claim in its entirety. 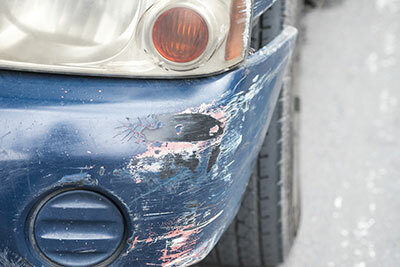 In Texas, if you were involved in a hit and run and you are unable to locate the at-fault driver, you can still make a claim against your UM/UIM insurance carrier. However, before your insurance company will pay the claim, you must prove that you were actually struck by another vehicle. If you can not make this showing then your insurance company is not legally obligated to pay under your policy. Why this sounds strange, the policies are written in a way to try to prevent fraud. By way of example, in some cases an intoxicated or careless driver hits something other than another driver, and they will falsely file a hit-and-run claim to try to fix the damages he or she caused. This is an unfortunate situation, but Texas law supports this type of limitation. Another unfortunate hit and run situation is when something falls off of a truck or car and hits your vehicle. In Houston, a driver was killed by a metal tie-down that flew off of a flatbed trailer. In this situation, most UM/UIM policies are written in a way that excludes this type of accident. As a result, if you do not find the responsible driver then you can not make a claim for what occurred. Committing a hit-and-run is a serious criminal charge in Texas, particularly when a person leaves the scene of an accident that involves a serious injury, death, or significant property damage. Regardless if there is property or bodily injury involved, it is the duty of all Texas drivers to stop to give information or stop to render aid when they are involved in an accident. Penalties for leaving the scene of an accident range from a misdemeanor to a felony, depending on the damage or injury the driver causes. If your hit-and-run accident involves any of these complications or you are having a tough time being compensated for your damage or injuries, it is better to call legal experts who can help you explore all of your legal and investigative options. If you cannot track down the driver who hit you, you may be desperate to find evidence that you’re not at fault so you can clearly prove to your insurance company that you were hit by another car. This often happens when you park your car on the street or a parking lot, your car is hit, and the driver takes off and there are no witnesses. You should do everything you can to find clear, identifying evidence of who hit you so that you can take that person to court and file a claim against their insurance company. Luckily for many drivers, modern technology and new accredited investigative tools can help provide the proof you need. Consider some of these options if you’re having a hard time tracking down the driver that hit you. You’ve probably seen this in a newspaper headline or on your Facebook feed, but people who commit crimes are often caught because of what they post to their social media accounts or because of mutual connections they have to the victim of the crime. Many people in Texas who have had their cars stolen put out notices on social media that include the make, model, and color of their vehicle, the location where it was stolen, and end up receiving valuable information that leads to them finding their stolen car, and sometimes the perpetrator. You should always work in conjunction with local law enforcement, but in the case that you have no leads on who the driver who hit you, social media can be an effective, far-reaching tool to help you locate the guilty party. In a recent case we were involved in, a young man was killed by a drunk driver in a hit-and-run collision. The family, devastated and angry, joined the police in searching the area for damaged cars in the neighborhood where he was hit. They looked for vehicles with recent damage and possibly blood. Through an extensive search of a small radius around the area in the following days, the police were able to locate the hit-and-run driver — a woman who was arrested and later claimed that she had no recollection of hitting anything that night. In the event of a hit-and-run, cameras can be your best friend. If there are any nearby businesses where the hit-and-run happened, make sure you check with all the business owners or managers and explain to them your situation. Although it’s often the police’s job to do this, it’s better to be safe than sorry. In the event your car was hit in the parking lot of a store, there’s a high probability that it was caught on camera, so be sure to check with them first. In a case in East Texas, we were able to pull the security footage from a convenience store near where our client’s accident happened. Not only were we able to identify the make and model of the vehicle, but who was driving the vehicle, and who was clearly at fault. An easy case for our client thanks to the help of surveillance cameras. Many hit-and-run drivers are involved in accidents while under the influence of alcohol or drugs, a situation that makes it easy to assign blame if they’re caught in time. But if the person leaves the scene after they hit you, it can be difficult to prove they were drunk or under the influence at the time. In many cases we have been involved in, our clients are convinced that the driver was behaving erratically and driving so unsafe that they must have been intoxicated, but when they finally track them down — sometimes the next day, it’s impossible to prove the person was intoxicated at the time of the collision. There are some ways to get around this problem, but time is still of the essence. One way to determine how intoxicated someone was at the time of a collision is to use a scientific technique called “retrograde extrapolation,” which can help determine a person’s blood alcohol concentration at a particular point in time. But the more time that passes, the more unreliable this technique becomes. Make sure that the investigator on your case is doing everything they can to help determine fault in the event they do find the driver. Police will use a variety of techniques to try to connect the person to the accident, such as by looking at the paint transferred during the crash, checking for fingerprints on your vehicle, or if the at-fault-driver was injured, connecting that driver to the accident by the nature of his or her injuries.